Love winning free stuff?! Check back for occasional giveaways of my own and other great giveaways for moms I come across! Winners to any giveaways sponsored by Diary of a SoCal mama will be posted here. BEEDOG PRIZE PACK GIVEAWAY – The perfect summer prize pack if your kid likes bugs. Win a beedog prize pack worth $75. https://kingsumo.com/g/ouf9pi/the-beedog-giveaway Giveaway ends on July 4th. 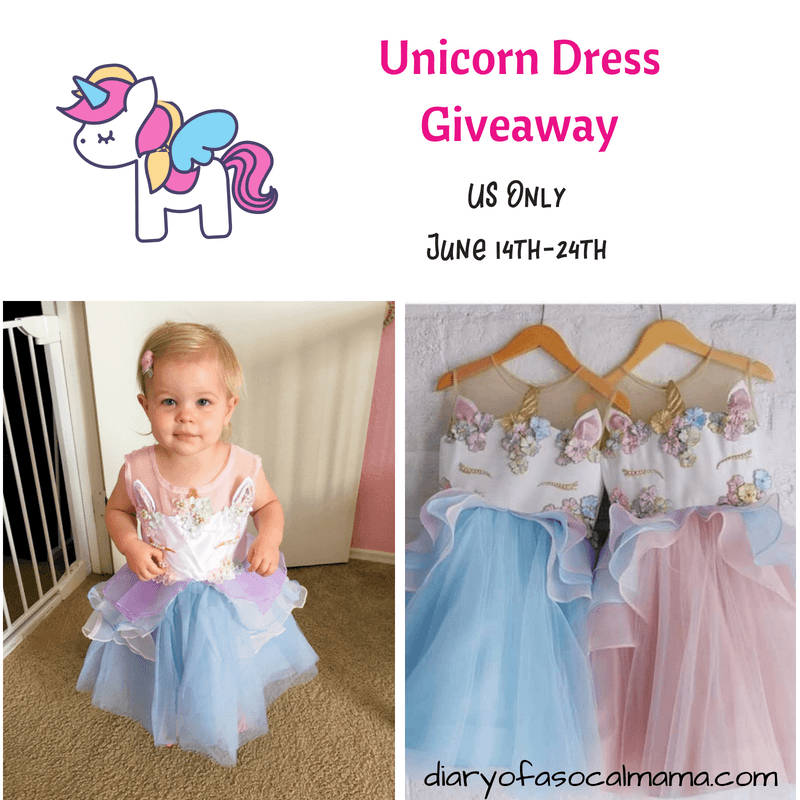 Unicorn Dress Giveaway (US Only) – size 12M-2T – GIVEAWAY HAS ENDED. V was the winner and snagged a cute unicorn dress for her daughter. The next giveaway I’m running will be a breastfeeding giveaway in August! Follow me on Instagram to participate.